The must-have Mineral Body Lotion from AHAVA now features a tranquil ‘Sea Kissed’ fragrance, encapsulating cool water, sun-kissed skin and salty sea air. 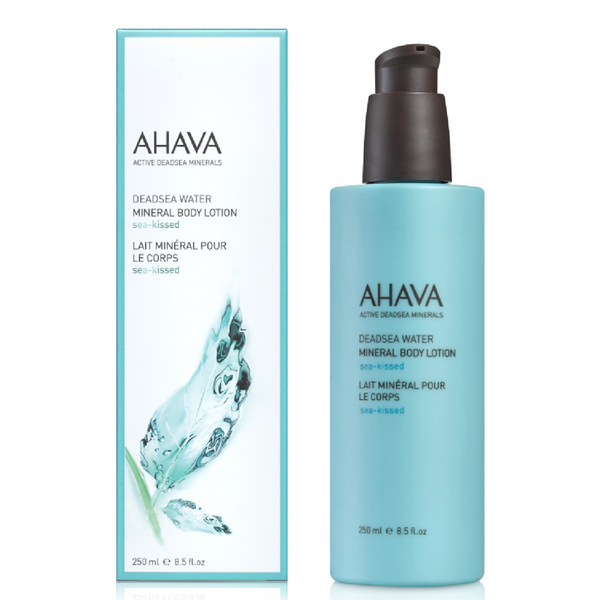 Infused with Dead Sea Minerals, the creamy yet lightweight formula quickly melts in, quickly working to restore optimum moisture levels to dry skin. Extracts of Witch Hazel and Aloe Vera seek to heal and repair, providing a revitalising and refreshing sensation. Expect smoother, softer feeling skin with a radiant glow.